Healthy Blast of Goodness! 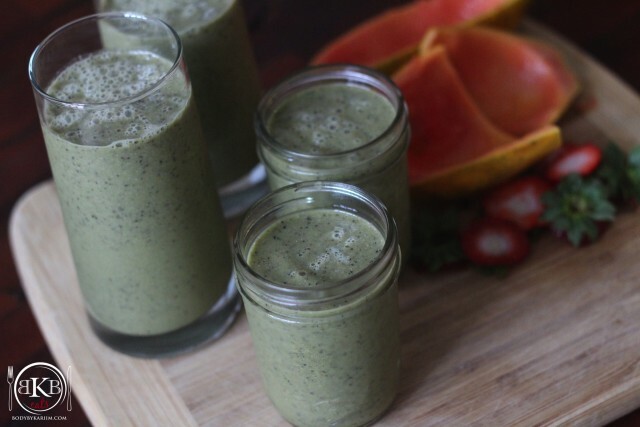 This papaya smoothie is dairy free and loaded with Vitamins + Fiber. 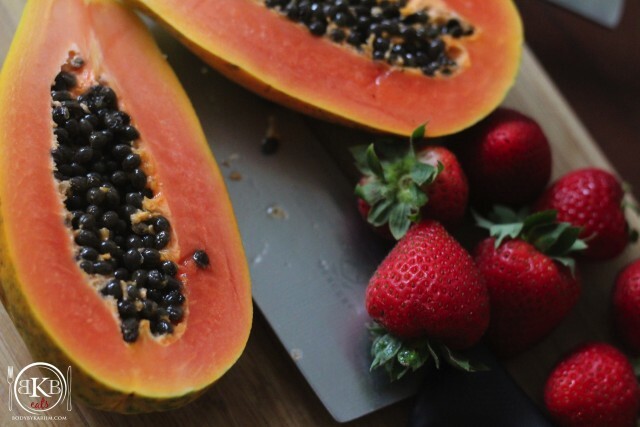 Papayas not only have a sweet taste and a pretty sunlit color, they are a rich source of antioxidants – Full of Vitamin B,C, and K, potassium, copper, magnesium and fiber. Promotes cardiovascular health, helps prevent colon cancer, improves digestion, & helps treat inflammation. Use a spoon to scoop out papaya meat from skin. Add all ingredients to the blender. Blend to your liking and enjoy.